I’ve mentioned before that planning for a wedding is not an easy task, there are a lot of things to be prepared and it is important to be able to take our time time. 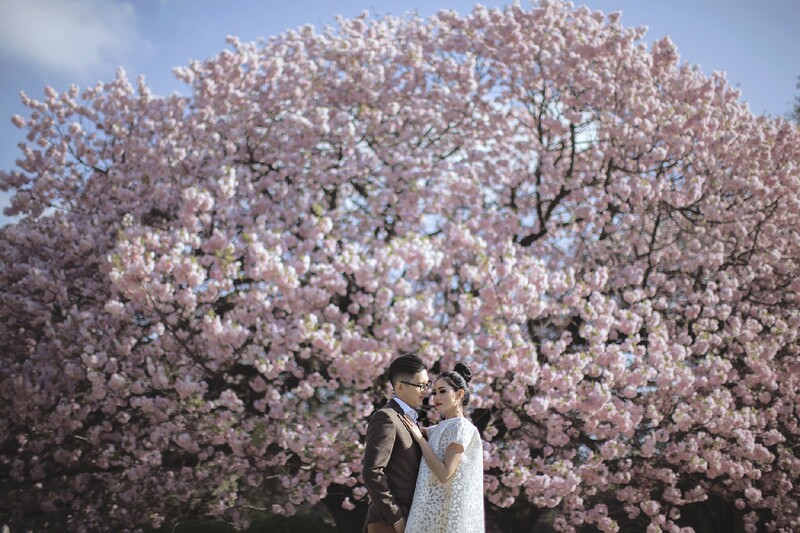 Despite of all challenges, I can confidently say that our pre-wedding sessions are on the top list of the things I truly enjoy in our wedding preparation. 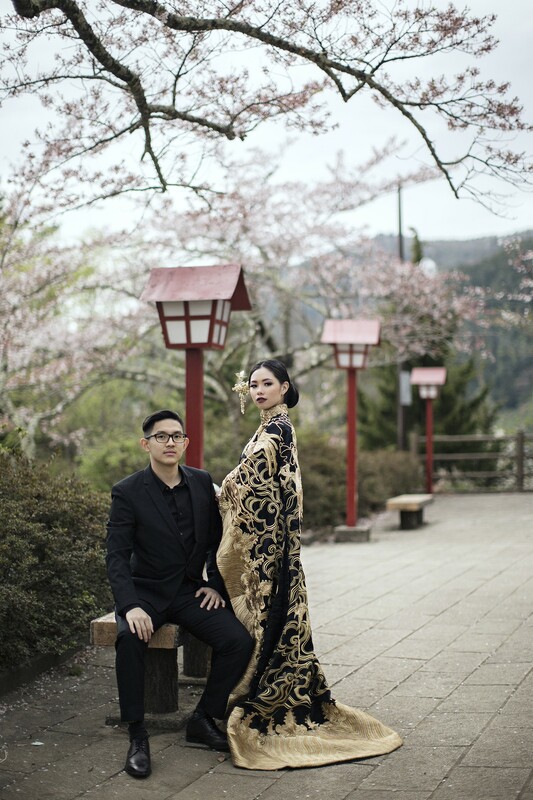 The moment we planned for pre-wedding session, both Kalvin and I immediately chose Japan. Why, you may ask. There’s a little history behind that. Kalvin and I actually had our first date in a Japanese restaurant. 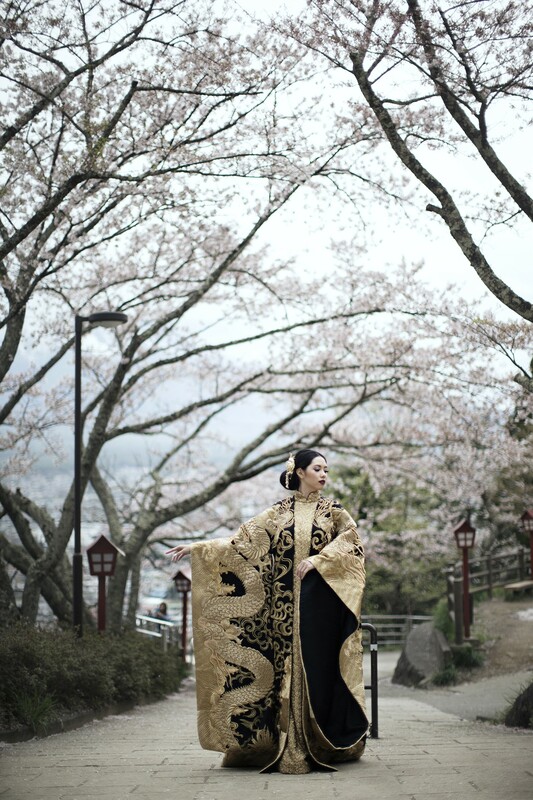 And to add a sentimental element, we decided to have our pre-wedding session in Japan. Well, it was the main reason, other than the fact that both of us love Japanese food, scenery, landscape, and culture. For the look, generally I decided to choose something formal but avoided anything over the top. Instead of ballgowns and evening dresses, I went for modern and stylish outfits from Yefta Gunawan and Krishandi Hartanto. While for the makeup, I got help from my favourite makeup artist: Mimi Kwok. Before our session, we had planned the whole concepts and prayed for cloudless and sunny sky. However, God had other plans. It was freezing cold. It was raining so hard. And, on the second day, when we were supposed to wake up at 7AM, none of us did. Almost nothing happened like we planned. Regardless of everything that went wrong, Kalvin and I decided to really enjoy the moment. ‘This is our pre-wedding session, at a place that both of us dreamed of. Let’s have fun.’ So we put our disappointment aside and we had fun. Let me be clear: our definition of ‘fun’ is something like this: every time we came across a stall, all of us would eat. All those Japanese snacks were irresistible and we (for a while) forgot the true purpose of going there. Japanese skewers, ice cream, and cakes— you name them. We believe that this could not be more enjoyable without the help of Axioo Team. Axioo Team is hands down the best photographer team ever. They kept us calm. They made everything fun. They laughed with us. They ate with us. They enjoyed Japan with us. We felt like we went there with close friends – not photographers. Overall, it was one of the best trips so far – and can’t wait for million other trips with Kalvin in the future. On a serious note, throughout our pre-wedding session, I have learned that it’s good that we planned everything beforehand. But when the uncontrollable factors are not in our favour, the best thing that we can do is to enjoy the moment – and take it as we go. Dear all brides-to-be, I understand how it goes. 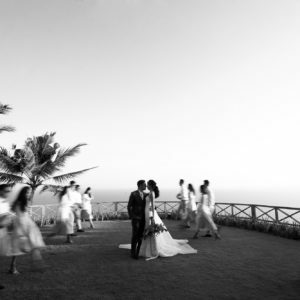 Our pre-wedding session and wedding day are our once-in-a-lifetime moments – so we want it to be perfect. But take it from me, the perfectionist Bride, just take it as you go. Plan, but don’t be obsessed. We want everything to be perfect, but if we as the bride couldn’t enjoy the moments – perfect means nothing. Anyway, I hope you’d enjoy a little sharing from me today and our pre-wedding pictures. I’ll talk to you soon. Lastly, here’s one amazing gown, inspired by taekwondo by my very best friend and CÄLLA partner, Krishandi Hartanto.